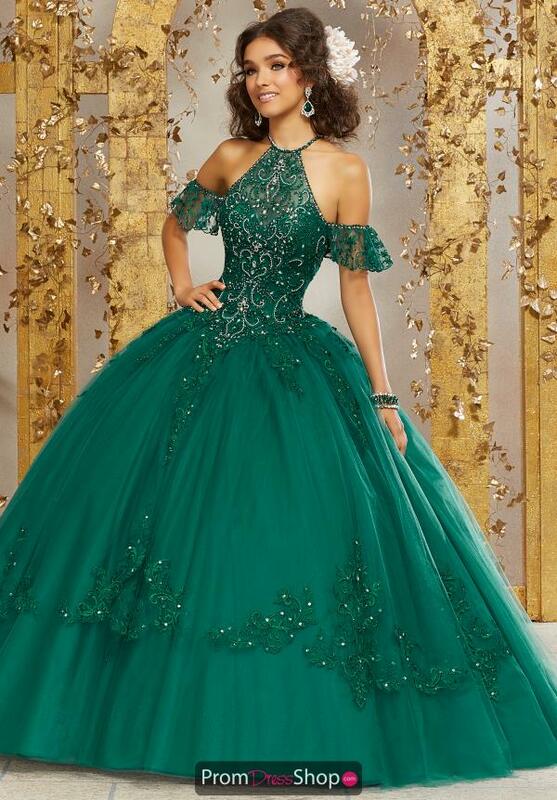 Spectacular and eccentric dress 89234 by Vizcaya will make you feel like a modern day princess. This dress features an edgy high halter neckline and charismatic cap sleeves. The corset bodice is encrusted with intricately hand sewn bead work that will shine brilliantly. 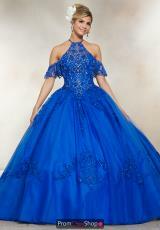 The voluminous ball gown skirt features a stunning tulle overlay that is adorned with lace applique. Visit promdressshop.com for more styles.